It was a gallant stand, Burger King USA, a burger giant, approached McDonald's USA, another burger giant, if not the biggest, for a Peace day project to happen on Sept. 21. 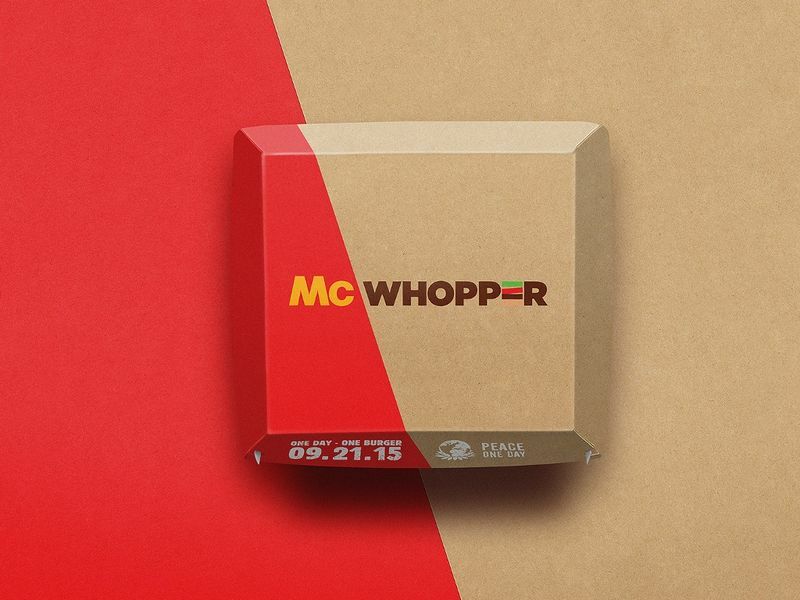 The proposal of Burger King to McDonald's was simple, let's have a cease fire day with our burger wars and combine our efforts namely Mc Donald's Big Mac and Burger King's Whopper, each their own signature burgers and name the "McWhopper", now that got me excited! But will it happen? Just a few hours ago, this happened! Yup it indeed happened. 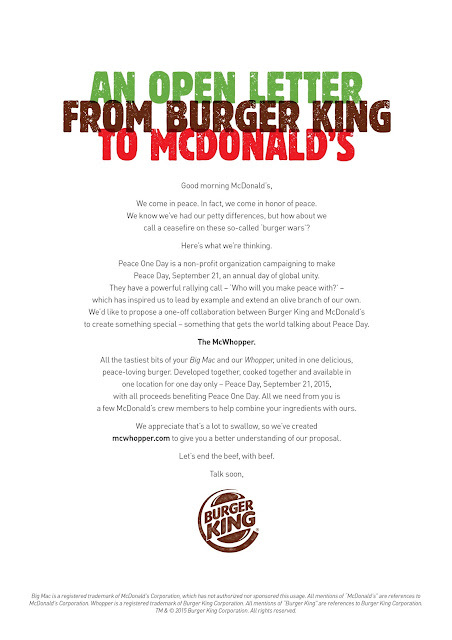 An open letter published on a daily newspaper that fascinated lots of readers and further more heightened the hype that hopefully McWhopper will happen. 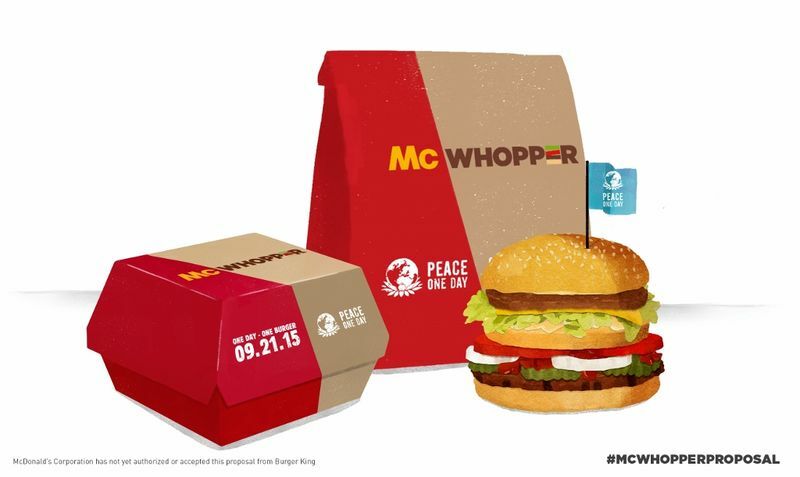 It was planned perfectly, from how to set-up the pop-up store, how to prepare the burgers, down to packaging of the McWhopper, they even brought a website www.mcwhopper.com to substantiate their initiative to collaborate in the name of Peace. But sadly, not all good things come to a great end, while we praise Burger King for such a grand gesture, we cannot blame Mc Donald's for not being able to share the idea, as indeed it was Burger King's idea in the first place. Even though we put all things aside, some things are just to good to ever happen. Here is what McDonald's has to say of the McWhopper idea. Well, this may have been a marketing ploy of Burger King, which totally succeeded, but still if something of this magnitude does come to fruit, it would have been something to talk about for generations to come. Well, we can only dream, in the name of Peace. What are your thoughts on this? Should McDonald's have said yes? 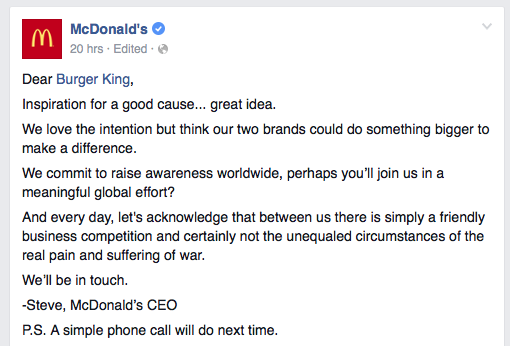 Or better yet, let's turn the chair around, if it was McDonald's initiative would Burger King have said yes?